officials from annually repeating the lie that people face fines. It's one thing to ask people to clear the public sidewalks. It's quite another to issue phony threats as to what consequences they face for failing to do so. This year it was Fox59 that repeated the City's lie in a piece given the headline "Shovel your sidewalk after the weekend snow, or face a fine." Uh, no. Here's what I wrote last winter. This year, more than any other the issue has come up regarding Indianapolis' ordinance requiring that property owners clean the sidewalk in front of their business or residence or face a fine? Complaints have mounted about the ordinance not being enforced. Channel 13 just did a story on the failure to enforce the ordinance. I started thinking more about the legality of the sidewalk ordinance. First, a sidewalk is always: 1) in the road right-of-way; or 2) a public easement on the owner's property Regarding the former, there definitely would not be a duty of the property owner to clear the sidewalk as that is not even the owner's property. Regarding the latter, the property owner wouldn't be responsible for an "act of God" created by snow or even third party pushing snow up onto a sidewalk while plowing the streets. The prohibition is only on the property owner interfering with the use of the easement, not third parties or God. In 2007, the Court of Appeals dealt directly with Indianapolis sidewalk snow remvoal ordinance. In that case, Denison Parking, Inc. v. Davis, 861 NE 2d 1276, 120 (Ind. App. 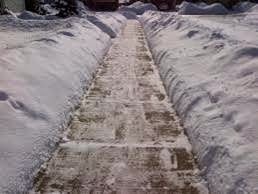 2007), the Court of Appeals again said a municipality cannot use an ordinance to impose on a property owner a duty to clear a sidewalk from ice and snow. Channel 6 covered the story back in 2007. The reason Indianapolis is not enforcing the sidewalk snow removal ordinance is that the City can't. By continuing to issue phony threats to the public, officials are opening up Indianapolis to a class action lawsuit to recover the cost of the labor for all those who worked to clear the public sidewalks falsely believing they were required to do so. Another possibility is individual lawsuits from property owners who might have heart attacks or get injured while clearing the sidewalks falsely believing they were obligated by law to do so. Note: The City's website even contains the phony claim that property owners have a duty to clear the ice. See also here. The group says some letters referred to Gov. Mike Pence as a “dictator” for supporting a bill that would allow the Board of Education to elect its own chair rather than have the State Superintendent of Public Instruction automatically seated as chair. School Board Member Sarah O’Brien is also a teacher and mother of young students. She says the letters cross the line of being appropriate in the classroom setting. The teacher should be investigated by the school district and reprimanded if she had her students engage in political advocacy during classroom time. Elementary school children are easily influenced by teachers. The notion that all the students, without influence from their teacher, fairly examined the complex issues involved in the Ritz-Pence dispute and came down on the side of Ritz is, well, ridiculous. Obviously the teacher was engaged in political advocacy in an elementary school classroom and that is inappropriate. 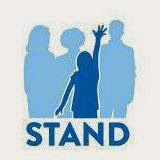 The problem though with Stand for Children position is that the organization's position reeks of hypocrisy. Stand for children as well as other pro-reform groups, are constantly using young kids as props in their Statehouse political rallies, having them hold signs advocating political positions on complex issues they are far too young to understand. Those supporting traditional public schools do the exact same thing. The fact that the children might not be losing classroom time doesn't change the fact that their youth is being exploited by adults who want to score political points. Education reformers and those who support traditional public schools: please stop exploiting schoolchildren for your cause. As this month wraps up, February 2015 will go down as one of the coldest months for several U.S. cities. Indianapolis average February temperature currently is 20.9 degrees which would make it the sixth coldest February since official recordings of temperature began being kept 140 years or so ago. Raise this as proof that anthropogenic global warming (AGW) is not taking place and alarmists everywhere will scream that skeptics simply don't understand the difference between climate and weather. They might even provide a video link to astrophysicist and host of Cosmos Neil deGrasse Tyson explaining the difference. Of course, weather and climate are not the same thing. Given man's limited life-spans, our 80 years or so lifespans on Earth simply isn't long enough to personally witness changes in the climate that takes place over thousands of years. Using weather as proof of climate is wrong. Alarmists are exactly right about that. The problem is they are the worst kind of hypocrites when it comes to using weather to prove AGW. The Summer of 2012 was terribly hot. James Hansen, director of the NASA Goddard Institute for Space Studies, was quick to argue that the summer's weather which featured scorching hot weather and droughts proved man is causing global warming. A year or so later when we were experiencing record cold weather, Hansen. The weather didn't fit his AGW agenda. ﻿Worse though are the alarmists who use even weather that doesn't fit the AGW agenda as proof of the theory. This strategy has been aided by AGW enthusiasts have pushed hard to relabel man-made global warming as "climate change." Since the climate always changes, any weather event will prove the theory. Hot weather? Climate change. Cold weather? Climate change. Too much rain? Climate change. Drought? Climate change. Heck, even if the temperatures for a year didn't vary from historical averages, that too would be climate change as the weather always varies. 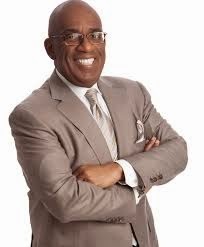 The next alarmist hypocrite stepping up is NBC weather anchor Al Roker. who in a recent interview, said this year's cold, snowy weather for parts of the country is proof of global warming climate change. 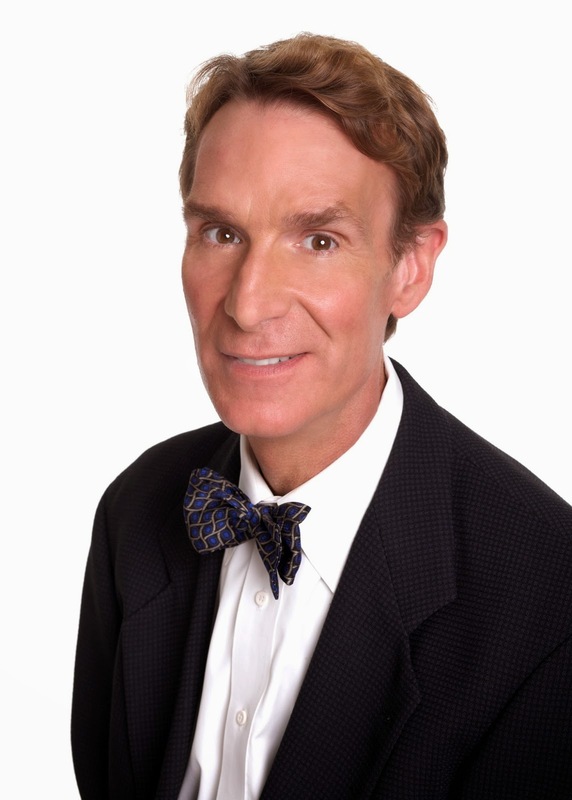 Bill Nye "The Science Guy" also chimed in saying this winter weather proves climate change. 2009 by Peter Doran and Maggie Kendall Zimmerman of the University of Illinois. The survey was sent to 10,257 scientists with 3,146 responding. The 97% figure is based on the responses of 79 of those scientists. More on that later. And that, folks, is how they got that 97% figure. Does Nye know this? You can bet he does. Is Bill Nye the Science Guy? No, he is Bill Nye the Lying Guy. To allay concerns about a proposed $18.5 million tax incentive package, Angie's List officials reassured a committee of the City-County Council that the company will be in Indianapolis for a long time to come. And if not, they reasoned, taxpayers will get some of their money back. The Metropolitan and Economic Development Committee on Monday gave the deal a near-unanimous yes vote, sending it on to the full council for a vote next month. The online consumer review service last fall proposed a major expansion that would add more than 1,000 jobs and relocate 800 others to its campus headquarters on East Washington Street. But company officials say they can't do it without taxpayer help — at least not on Indianapolis' Near Eastside. During the testimony, Angie's List Chief Executive Officer admitted the company has never turned a profit in 18 years of existence. The vote appeared in committee appeared to be 6-1, with only committee chair Eugene Robinson voting against it. Committee members Democrats Zach Adamson, John Barth and Vop Osili voted for the $18.5 million subsidy along with Republicans Ginny Cain, Jeff Miller, Will Gordon. Committee member Mary Moriarity Adams did not appear to have voted on the proposal. Much ado was made by Angie's List officials of placing money into an escrow account as security for the city's "investment." If Angie's List failed to live up to its financial commitments, the City supposedly can drawn down the money out of the escrow account. But as counsel for the Council Fred Biesecker pointed out, should Angie's List files for bankruptcy, the City is simply in the position of a unsecured creditor and that escrowed money would go, not to the City, but into the bankruptcy pot to be paid first to secured creditors and then divided among the unsecured creditors. Translation: Indianapolis would at best get only a tiny fraction of its $18.5 million "investment" returned if the Angie's List is placed into bankruptcy. Biesecker also brought up the fact that Angie's List has been sued in federal district court by shareholders alleging securities fraud. That is discussed more below. [IBJ's Chris] O'Malley explains how Oesterle formed a separate company, Henry Amalgamated, in which he owns a 70% stake, to acquire nearly 40 parcels of property on the city's near eastside. Karl Northern owns the minority interest. That company, in turn, leased their property at premium lease rates to Angie's List for its expanding headquarters and operations. The combined assessed value of the properties owned by Henry Amalgamated is just $2.625 million; however, Angie's List is acquiring the properties from their CEO's company for $6.25 million. Oesterle defends the sale, claiming that no cash is exchanging hands, at least cash that came from his hands. That's because Mayor Greg Ballard, who has received large campaign contributions from Oesterle, was very generous with your tax dollars and gave Oesterle's company $4.6 million in incentives from the downtown TIF district after the company pledged to keep its headquarters in downtown rather than relocating to the suburbs. Oesterle allowed the value of those incentives to go to Angie's List as part of the sale. A class action lawsuit filed in the U.S. District Court for the Southern District of Indiana charges key officers of Angie's List of defrauding investors who purchased stock in the company between between February 14, 2013 and October 23, 2013 by issuing materially false and misleading statements regarding the strength of the company’s business model and its financial performance and future prospects and failed to disclose adverse effects on the company's prospects of becoming profitable. Named in the lawsuit are the company's CEO, William Oesterle, the company's co-founder and Chief Marketing Officer, Angie Hicks Bowman, current and past CFOs Charles Hundt and Robert Millard, and Thapur Manu, the recently-terminated Chief Information Officer. The serious allegations contained in the lawsuit call into question the legitimacy of the subscription-based reviews of local service providers on the company's website because of its shifting business model, which increasingly relies on revenues it now derives from referral fees to those same service providers. According to the lawsuit, Angie's List this year began relying on offering free membership subscriptions in order to artificially boost the number of subscribers in order to mislead investors. This helped boost the price of the stock significantly during the period in question. Oesterle and the other officers cashed out many shares they owned during this period for a handsome profit. Oesterle sold 486,400 shares of stock for more than $10.3 million, while the other officers collectively sold about $3 million of their personally-held shares of common stock "to the unsuspecting public at fraud-inflated prices." members of its sales force. Then in September of 2014, it was reported that Angie's List had hired investment bankers to consider a sale of the business. Previously I compared Angie's List to Litebox. That was a bad comparison. A much better analogy is Enron, a company with politically-connected leadership that operated on smoke and mirrors. 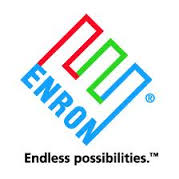 A difference though is at least Enron appeared to turn a profit. A few years down the road, Angie Hicks and Bill Oesterle, as well as other Angie's List executives, are going to walk away multi-millionaires from having leading a company that never made a profit. And this will all be made possible thanks to elected officials who have never seen a corporate scheme they wouldn't subsidize with the taxpayers' money. Note: The Angie's List and Enron symbols are placed in this article by the editor of the blog and were not part of the quoted sources. In 1988, 77.5% of Indiana's registered voters turned out to vote in that year's presidential election. By the presidential election of 2012, turnout in Indiana was down to 58.5%. What caused the decline? Many Democrats will point to Indiana's supposed "restrictive" voter identification law that passed in 2005 but didn't go into effect until after a court challenge in 2008. Supposedly this requirement and other laws have made it increasingly difficult to get registered and vote in Indiana. The numbers though tell an entirely different story, namely that the apparent decrease in voter turnout in Indiana is not due to anything the Indiana Republican legislators have done but rather what the Democrats did at the national level. Following the 1992 election, the Democrats held a majority in both houses of Congress. Unfettered by Republican opposition, the Democratic-controlled Congress passed the National Voter Registration Act ("the Motor Voter Law") which was signed into law by President Clinton in 1993. The bill mandates that states permit people to register at post offices and license bureaus. But more importantly for discussions of turnout, the bill made it much more difficult and expensive for states to purge non-voters from voter registration lists. Prior to the NVRA, Indiana county clerks purged from the voter's registration list any voter who had not cast a ballot in a single election in a four year cycle. The process was an inexpensive way to keep voter registration rolls clean of duplicate registrations and voters who had passed away. 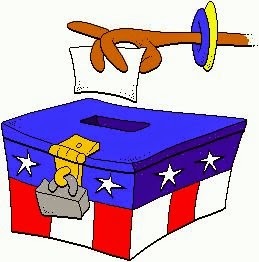 In 1988, approximately 69.6% of Indiana's adult population was registered to vote. By 2012, the registration of adults had soared to nearly 92.9% (which was actually a decrease from 93.7% in 2008.) During the 24 years between 1988 and 2012, Indiana's population increased by 19% while the state's voter registration rolls increased from 2,866,339 to 4,555,257, a 59% increase. Did interest in voting increase dramatically between 1988 and 2012? No, what happened was with the elimination of the automatic purge, the voter registration rolls became filled with the names of deceased Hoosiers and voters who were registered at multiple addresses. If, instead of using the inflated voter registration rolls, one compares voter turnout to Indiana's voting age population, it becomes clear that Indiana's turnout has remained remarkably stable despite the claims Republicans have enacted obstacles to casting a ballot.. In 1988, voter turnout compared to the adult population was 53.6%. In 2012, it was 54.3%. Off-year elections show a similar pattern of consistent turnout, with the exception of 2014 which had markedly lower turnout numbers, most likely due to the lack of a major race on the ballot. 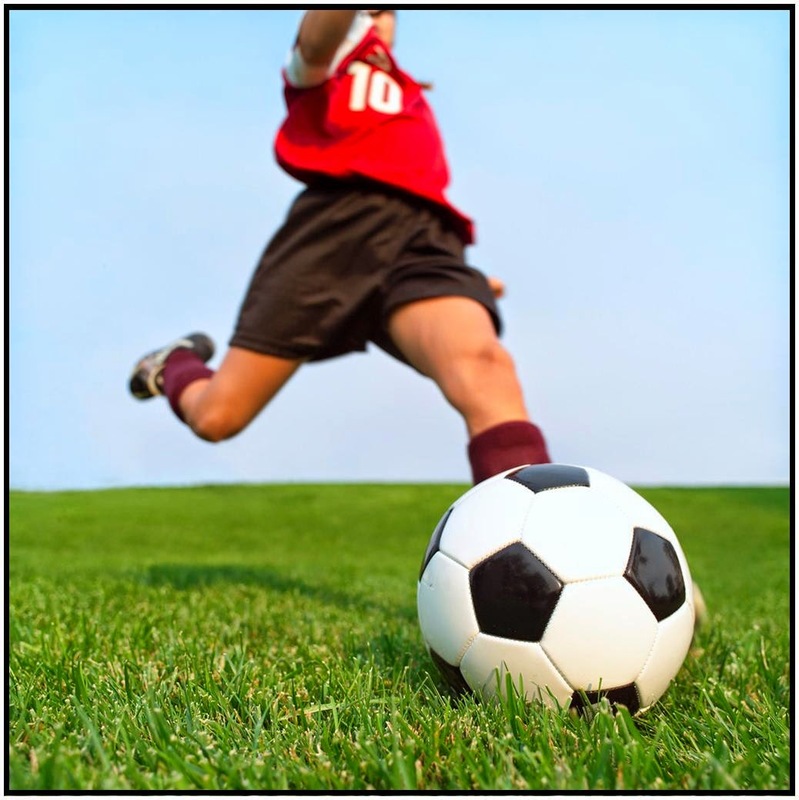 While growing up playing team sports, I remember being told that soccer is on the threshold of become a very popular sport in the United States and that it is a particularly popular sport among young people. Forty years later, I'm still waiting for that to happen. Following the 2014 Soccer World Cup, Harris polled Americans on their favorite sport. Soccer had risen to 6%, placing it behind professional football at 32%, baseball at 16%, college football at 10%, auto racing at 7% and tied for men's pro basketball and ice hockey. The increase in soccer was significant from the year before when only 2% of the people cited soccer as their favorite sport. That, however, was not unprecedented. Following the World Cup, soccer always enjoys a surge in popularity only to fall off precipitously in the years that follow. In 2010 (a World Cup year) soccer was chosen as the favorite sport by 4% of the people, only to fall to 2% in 2013. Of course, people will point to the popularity of soccer as a participatory sport among children Actually, while soccer has probably increased its percentage of participation rates among young people, the participation of children in all team sports has declined, including soccer. He's only been in the job for a short time, but new Major League Baseball Commissioner Rob Manfred has already stepped into it, making the ridiculous suggestion that perhaps teams should be barred from employing defensive shifts, the type used against players like Red Sox slugger and pull-hitter David Ortiz. Manfred's suggestion comes as part of an attempt to inject more offense into baseball which has seen run production fall in recent years. Baseball fans have to be concerned about a Commissioner who is so out of touch with the game and its fans. One of baseball's few drawbacks is a lack of obvious strategy in the game. When to pull a starting pitcher for a pinch-hitter is a major strategic move, eliminated in the American League with the adoption of the designated hitter. Now Commissioner Manfred wants to eliminate another strategic move, repositioning players on the field to stop certain hitters. If those players can't hit the other way when faced with a defensive shift, that's a deficiency in their game that deserves to be exploited. As a new baseball season dawns, baseball is not without problems. The games last too long, caused in no small part by an endless parade of pitchers at the end of the games whose only role is to get one or two batters out. The season last too long. Baseball played in the cold weather of middle to late October, even November, is a horrible experience for players and fans. There are a number of suggestions out there which could improve the game of baseball, without destroying the integrity of the sport. Manfred's idea of eliminating defensive shifts is not one of them. while Superintendent Glenda Ritz's direct boss is the voters who elected her. It would be hard to design a more dysfunctional structure. We shouldn't be surprised then that the Education Board and Ritz have clashed over policy and procedures. We ought to instead be surprised that it took so long for clashes between the Superintendent and the Board to reveal the dysfunctionality of the Board structure. The Republican-dominated legislature this year has pursued a solution. On Tuesday, the Indiana Senate passed a bill on a 33-17 party-line vote that would allow the Board to pick its own chair. While the bill would leave Ritz on the board, it would effectively remove her as chair. Under the bill, the current 11 member State Election Board would be reduced to 9, with the Governor appointing four members, the legislature four members and the Superintendent being the 9th member. It is a change that should have been made a long time ago. I do, however, have a problem with taking power away from an elected official. 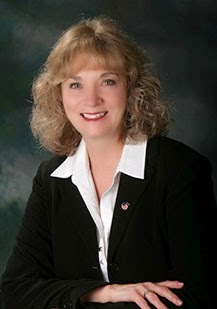 Like it or not, and many Republican don't, Glenda Ritz was elected by the voters to be Superintendent, including the duty of chairing the State Election Board. Taking duties away from an elected official in the middle of his or her term seems highly inappropriate. Republicans are making Glenda Ritz into a martyr, a foolish mistake that could be costly. Instead of a 2016 election focusing on her weak leadership, the Republicans have dealt the Democrats an ace. Their treatment of Ritz will become front and center THE election issue. Ritz will quite possibly increase her vote total from 2012 simply by exploiting her treatment as her primary issue. We Republicans lost the Superintendent race in 2012 because we had a nominee who managed to alienate people who oppose educational reform as well as those who advocate for it. The underreported story is how Tony Bennett's staff had deeply alienated conservatives by pushing Common Core and a flawed A-F grading system that downplayed the importance of improvement as a measuring stick, thus favoring traditional public schools over charter schools. It didn't have to be this way. Governor Pence is a very personable individual and fully capable of reaching across the aisle to schmooze a political opponent. The Governor should have early on went to Superintendent Ritz and worked on finding issues where they had common ground. Instead from the beginning of 2013 the approach was to pick a fight with Ritz. Ritz will lose the battle in the legislature, that there is no doubt. But she may well be the one having the last laugh come Election Night 2016. The team released a report by KSM Consulting of Indianapolis that says the 18,500-seat stadium would open in 2018. The report estimates 66 events per year, including 15 professional women’s soccer games and 10 concerts. 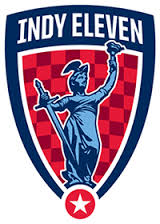 —Indy Eleven: 16,500 at $29.50. The Indianapolis Star, which is where that’s from, didn’t bother to do the math on what all that would add up to, so let’s do it for them. Let’s see, 15 Indy Eleven home games times 16,500 tickets per game times $29.50 per ticket (for minor-league soccer? okay then) times a 10% ticket tax is $730,000. Fifteen women’s soccer games would generate another $217,000. Concerts would provide $550,000. Even if you’re optimistic about those 16 “other” taxable events, then, you’re still looking at around $2 million in ticket taxes, tops, not even enough to repay half the state’s costs. Once again it takes an out-of-state publication to delve into the details and tear apart an insider deal being pushed through the Indiana legislature, a deal that has virtually no public support. This just shows that you hire the right lobbyists and law firms in Indiana, it doesn't matter how much a proposal screws over the public, it's going to pass. President Barack Obama loves Costco. Why? Well, it doesn't hurt that Costco founder Jim Sinegal has given and raised hundreds of thousands of dollars for the President's two campaigns and lobbied for Obama initiatives like a higher minimum wage and the Affordable Care Act. In return, President Obama brags about Costco fulfilling its corporate responsibilities, including the claim that it pays its hourly employees $20.89 an hour on average. Meanwhile, Wal-Mart (and companies like the retail giant) are demonized for paying its employees only an average of $12.67 an hour. This "fact" has been touted in ABCNews and Bloomberg Business. But is it true? The underlying motivation behind these comparisons is a belief that employers can simply pay employees more if they are motivated to do so. Sometimes it comes accompanied with an argument that it is actually good business to increase employee pay far above the market rate. (Apparently we're supposed to believe that people unconnected to a business actually know better what is good for the business than the owners of that business.) Often the Costco v. Walmart comparison is made in conjunction with a plea for an increase in the minimum wage. The trouble with arriving at $20.89 as the average pay of hourly Costco workers is that there are a lot more employees at the lower end of the hourly pay scale than the supervisors and skilled and semi-skilled workers at the other end. So the average wouldn't be close to $20.89. How then to get it to $20.89? Instead of averaging all the hourly employees pay, average all the hourly positions. So even though there might be 20 stockers for every 1 hourly supervisor, their treated as 1 to 1 when calculating the average this way The distinction, which would have a major effect in skewing Costco's hourly pay upward, would be lost on the reporting that followed. Costco would be hailed as a hero while its competitor Wal-Mart is demonized. A brilliant PR move. 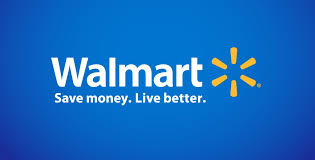 Wal-Mart's reportedly pays its hourly workers an average of $12.67 an hour. Where did that figure come from? It was contained in a letter Wal-Mart sent to consumer activist Ralph Nader responding to a question regarding the average wage for its full time employees. Wal-Mart might have simply added up its full time employees pay and provided an average, instead of an average of positions which is really the only way to explain the Costco calculation. I don't think there is any question that Costco pays its lower level employees a few more dollars per hour than Wal-Mart does and it is smart to do so in order to retain employees and keep them happy. But $8 an hour better? Don't be ridiculous. While Democrats agree the county needs a new jail and criminal courthouse, they say they're wary of the way the mayor wants to finance it. WMB would build the $408 million justice center, [now estimated at over $500 million] then cover maintenance and operations with the city paying an annual service fee $46.8 million [now estimated at $50 million] over 35 years. Mansfield said, "With something this costly, we should not be fast-tracking anything, because it's going to affect us for decades. If it's a good idea and has solid fiscal evidence behind it, then fine... but I think we need to do our due diligence." 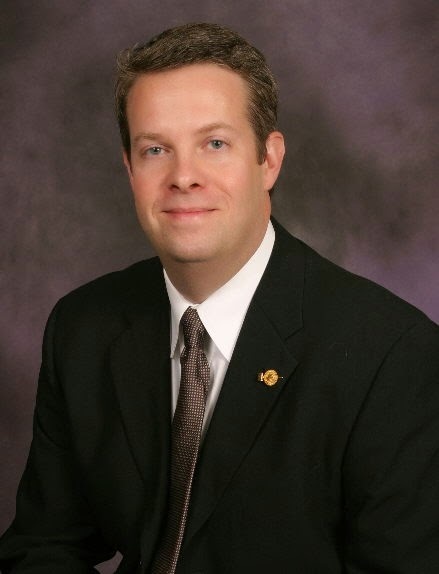 Democrats will pay Umbaugh Financial $15,000 from the council budget to do the analysis, while Mansfield said they didn't need Republican approval to do so, Council Minority Leader Michael McQuillen said he was unaware of the study and "frustrated by it." "This has been like a 17-18 month process. It's been transparent. We've included them in all of this... and then they don't include us in this decision to waste taxpayer money for another study...in my opinion, it's a last resort delay tactic," McQuillen said. Indiana Public Access Counselor Luke Britt has rejected the city of Indianapolis’ argument that a request for proposals could be withheld from public review, siding with IBJ. The city on Oct. 17 released the final version of its RFP for its potentially $600 million criminal justice facility. But officials declined to release drafts created during an unusual public procurement process in which the city allowed vendors to review and comment on the RFP behind closed doors. Britt concluded in a formal opinion issued Nov. 6 that the city should also release drafts of the document. The city had denied IBJ's request, claiming the drafts fall under an exemption in the state's Access to Public Records act for "deliberative" documents. As far as the amount the Democrats are going to pay on the report - $15,000, the Ballard administration entered into $12 million in no bid consulting contracts with respect to the Justice Center, even though the administration did not seek an appropriation from the council as required by Indiana law. This includes a $750,000 contract for public relations work to John Cochran, Ballard's former aide, even though Cochran, an attorney, had no experience with public relations work. McQuillen opposed a move to cancel the $12 million in consulting contracts. Yet he is complaining about the Democrats spending $15,000 on a consultant to see if a project which will cost taxpayers an estimated $1.75 billion over the course of 35 years is worth it? Please, Mike. Spare us your hypocrisy. You have already demonstrated you have nothing but contempt for the Indianapolis taxpayers who have to foot the bill for all the tax increases and reckless corporate welfare spending you've supported while in office.